Today we have a Canadian based product called the “GelaSkin”, a protection solution for the iPhone 3G that adds a little style to your device! The GelaSkins motto is “Protection with style. Not bulk” and the motto is 100% correct! GelaSkins offer a very unique protection solution for your iPhone 3G (although they also support a ton of other devices). 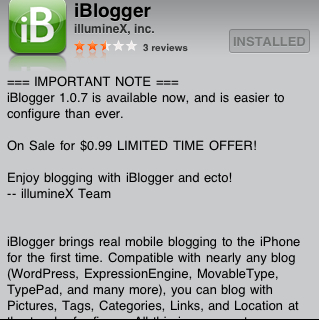 It is essentially a film that peels off and is applied to the back of your iPhone 3G. 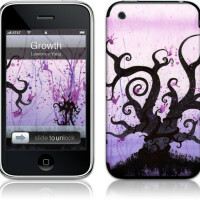 Then, you navigate to the GelaSkin website on your iPhone 3G and download the correspond wallpaper that matches the skin. 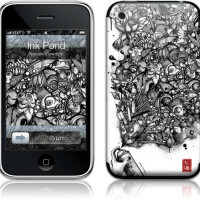 You apply this wallpaper to your iPhone 3G and what you end up with is a really stylish, coherent protection solution! 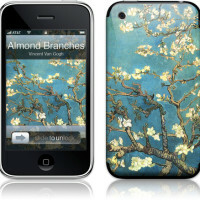 The GelaSkin cut-outs are made of a premium vinyl and the featured designs are the works of artists worldwide. As far as application goes, the GelaSkins peel off very easily and apply very easily. If you make a mistake, you can still peel it off and re-apply the skin without any damage to the skin itself. Moreover, the skin leaves no residue behind so your iPhone 3G stays clean if you want to take the skin off or are just looking to replace it with another design. 3.) 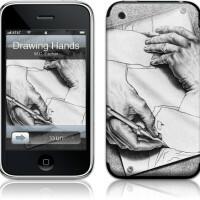 Email me your preferred design choice (what it is called) and explanation of why it fits you to x1zero [at] iphoneincanada.ca with subject line ‘GelaSkin’. I will choose winners based solely on your answer to Step 2. Entries will be accepted until January 15, 2009 at 11:59pm. 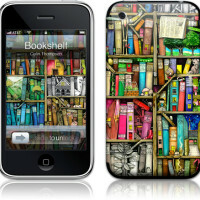 For those looking for additional designs, please check out GelaSkins website!